Getting a speed of 1Gbps was previously a joke, but then search engine giant Google made it possible by using fibre and the worlds first 1Gbps connection as established at Kansas city, and now its India's Startup Village the 2nd place in the world to have such high speed internet connection. So India have shown that we are not back in any aspect, we can change the world at any moment. Kerala-based Startup Village, the India’s first telecom incubator, now has a newly-laid 1 Gbps (gigabits per second) connectivity. You can download a two-hour high definition movie in 30 seconds or view a video in YouTube at this lightning speed! Startup Village of Kochi has become the second place in the world, after Kansas City of United States, to experience this ultra-fast connectivity, that is all set to revolutionise the internet experience of the netizens in the coming days. By switching on the trend-setting connectivity within a few days, Startup Village has taken a major leap forward to emerge as the largest telecom incubator in the world. 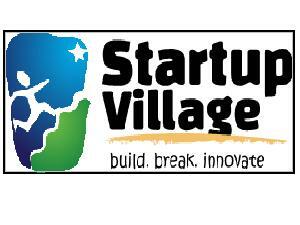 Startup Village aims to build the elements of a world class tech ecosystem to realize the dream of a Silicon Coast in India. The vision at this grandiose scale is driven by one of India's most successful IT entrepreneurs, Kris Gopalakrishnan, co-founder of Infosys and powered by Dept of Science and Technology, Govt of India. But I always wonder if India can make such great wonders then why does we still wait for the backdated electronics product to be launched here, we should make our own electronics gadgets as such Aakash Tablet made in India. Looking forward to have great innovation in India and to have more gadgets with cheaper price and good technical objects as the first cheapest tablet of the world Aakash. So its a great step towards high speed internet connection, if such connection is established everywhere in India then there is no need of 3G or 4G and there would be no such scandals. Lets contribute ourself for our India to become Incredible India.